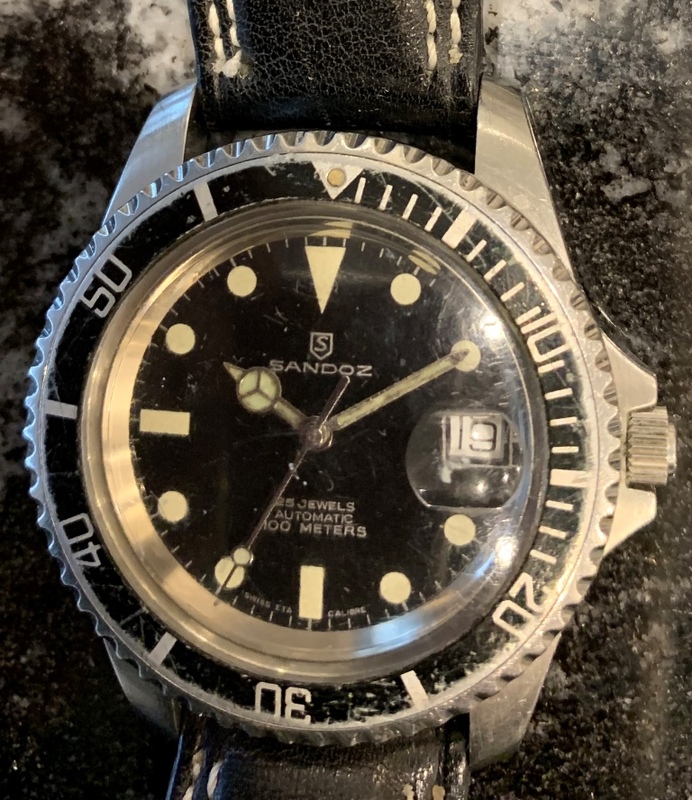 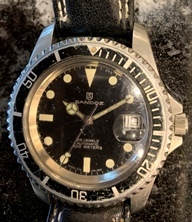 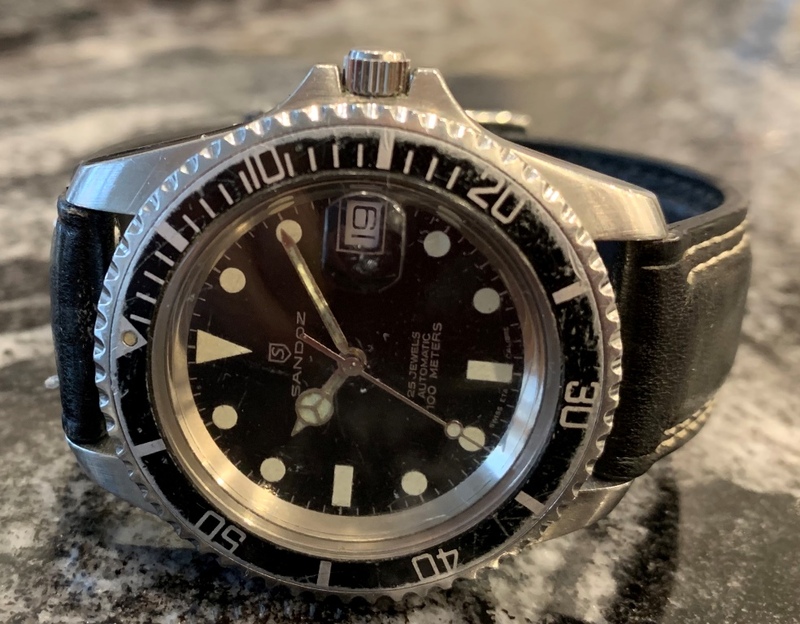 Great looking Sandoz Submariner circa 1970 with Mercedes hands and screw down crown and unidirectional rotating bezel. 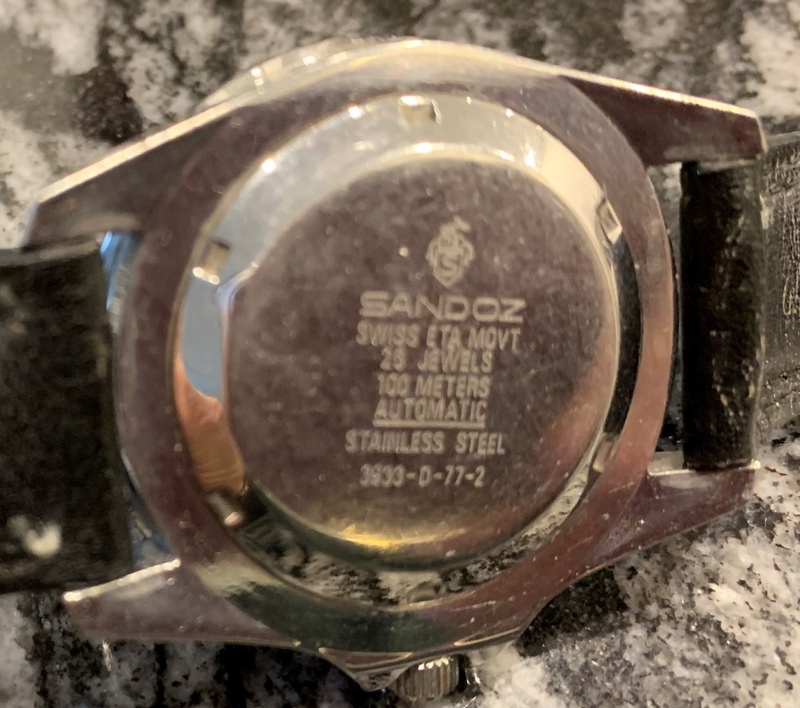 Sandoz watch co was established in 1851 in Switzerland. 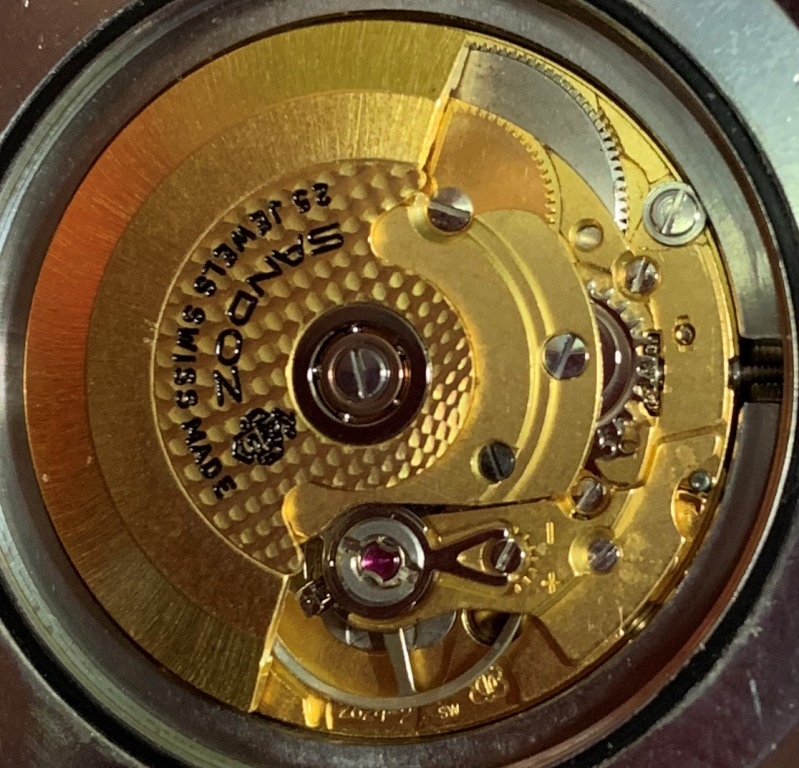 The automatic Eta 2824 movement has 25 jewels and is in excellent working condition. 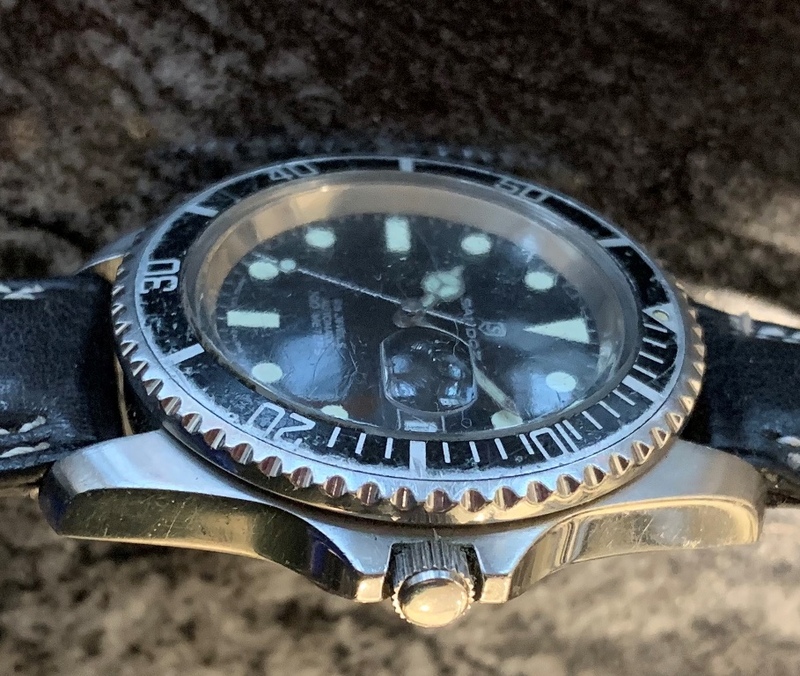 Photos are magnified and show details not seen by naked eye, the case measures 40 mm across (not including crown) x 47 mm lug to lug and is fit with a leather bracelet.